Take your appetizers to a whole new level. I love to snack, so charcuterie boards are one of my favorite meals. They’re perfect for picnics, game nights, or just when you want to feel fancy. 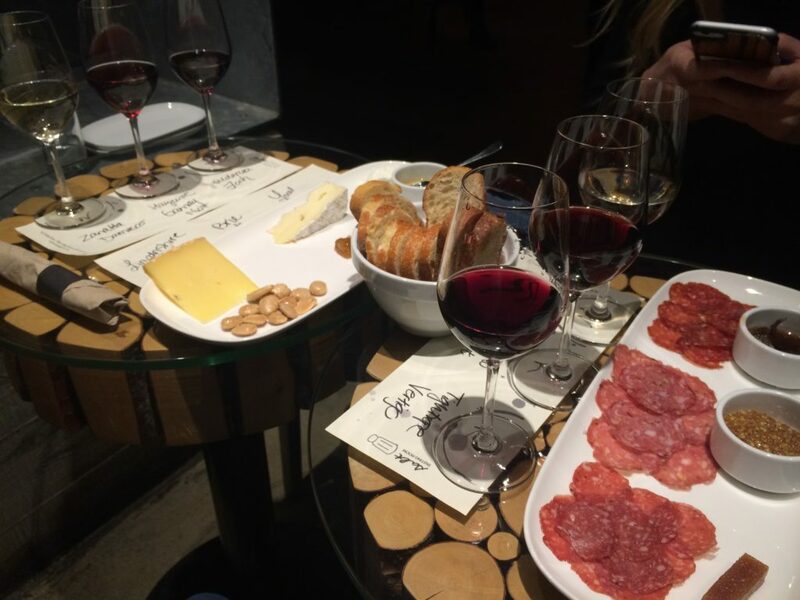 The best one I ever had was at Salt Tasting Room in Vancouver. Unfortunately, I can’t just pick up and fly to Vancouver anytime I’m craving charcuterie, so I’ve learned to make my own in just a few simple steps. The whole idea of a charcuterie board revolves around the meat featured so the most important part of putting one together is getting a variety of good meat. If you’re not really sure where to start, I recommend prosciutto (even if you end up not liking it, it’ll impress all your less cultured friends). To provide contrast to the thinly sliced prosciutto, also provide a thicker sliced smoked ham or a spicy chorizo. When in doubt, keep it simple. 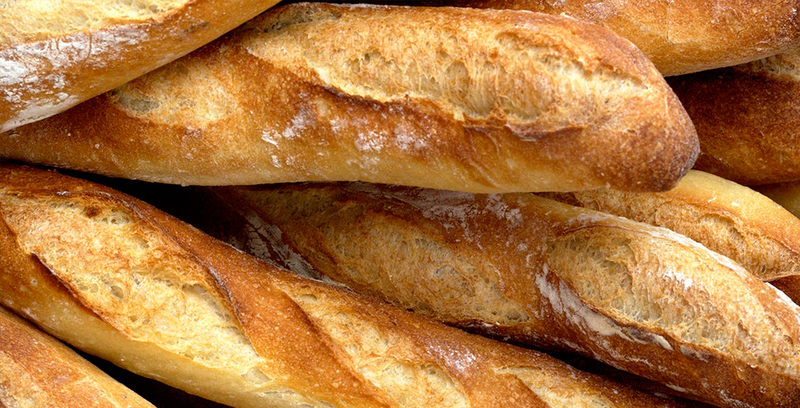 Although a baguette is ideal, lightly seasoned crackers also work, but make sure the taste doesn’t distract from all the other flavors. If you’re gluten-free, try rice cakes. Yes, this isn’t technically a cheese plate, but the cheese is (almost) as important as the meat. Again, you’ll want a variety. A simple way to start is getting a hard cheese, a semi-soft, and a soft. A cheese guide will help you chose your favorites. A great hard cheese to try is Parmesan, and a good one will be nice and salty, which will complement the meat. Smoked Gouda is one of my favorite semi-soft cheeses, and goat cheese is an awesome soft cheese option. #SpoonTip: Heat up Brie in the microwave for a nice, melty cheese. Sure, there are a lot of flavors already on your board. But one of the best parts of charcuterie is trying out new combinations, and nothing makes more combinations than condiments. 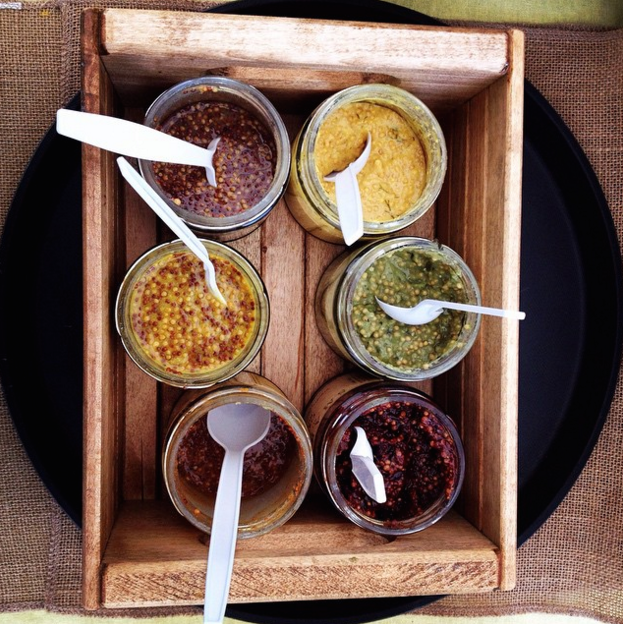 Whole grain artisanal mustards are delicious, or for something a little more adventurous try pepper jam. 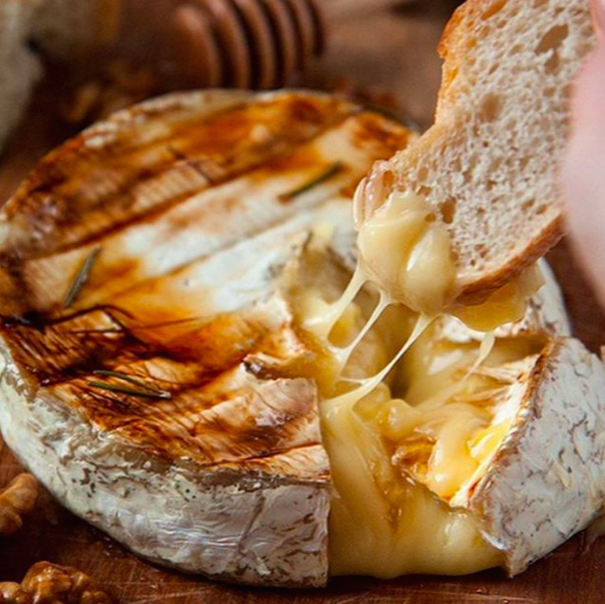 Honey is also a surprisingly sweet option that goes well with various cheeses. 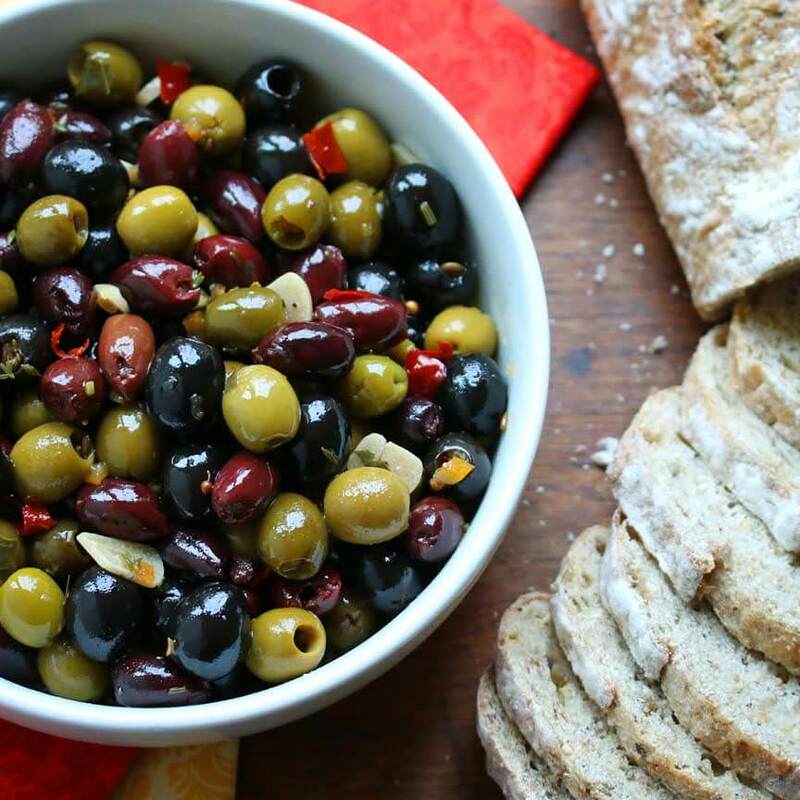 There are quite a few options for adding some sweetness to your charcuterie board: dried fruits, fresh grapes, or olives. Pickles are another great option to add some tang to your tastebuds. 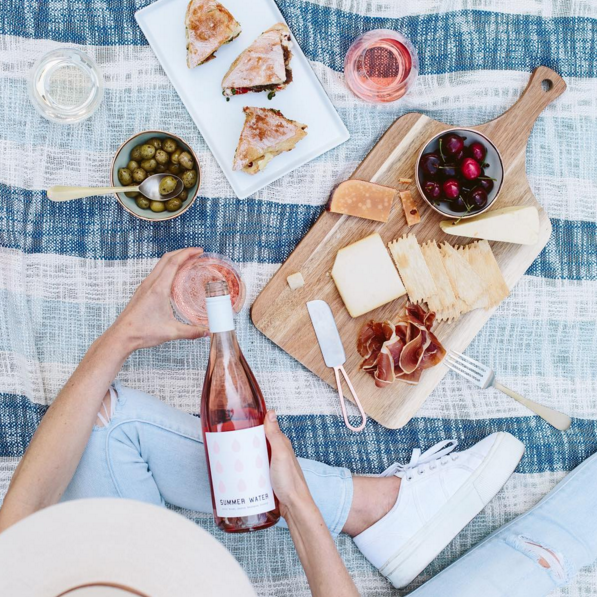 The best charcuterie boards come with a variety of wine pairings to choose from. This is the easy part—pick a few bottles and make a toast to successful hors d’oeuvres.